All 50 drawings from the series have been reproduced at full scale on a beautiful uncoated stock, making them look and feel almost like the originals. This is a hard cover book with stunning wrap around dustjacket. "from soil and stone" is also published as a Limited Edition of 50 books, each of which include one of the original drawings. 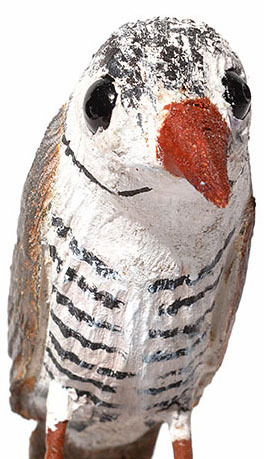 Ted Barraclough has carved and whittled for as long as he can remember however it was in retirement that Barraclough began carving and painting this series of native Australian birds. 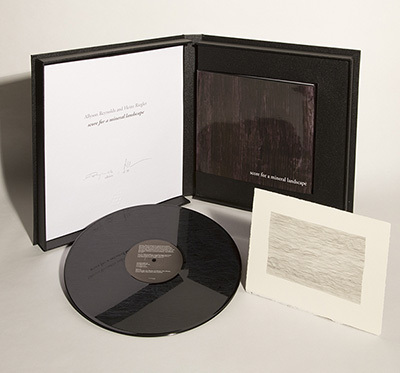 In his essay for this book Glenn Barkley (curator Museum of Contemporary Art, Sydney) writes: "I feel that although there may be those artists whose feather counts might be more correct, and whose realism is more exact, this has little to do with what ‘art’ might be. 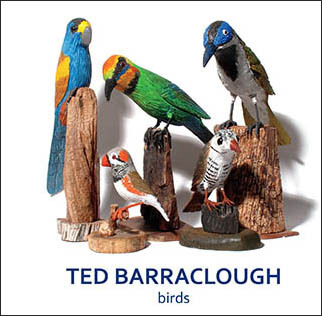 And the lack of emphasis on craft runs counter to a hyper over-skilling and this is what makes Barraclough’s birds so good ... Ted Barraclough is a modern day Gepetto, bringing the timber to life as if only he can hear a sound within it and find its natural form". This 440 page hardcover book contains 253 beautiful full colour photographs of Barraclough's birds capturing the passionate skill of the artist and the imbued personality of his creations. In classical religion a genius loci was the protective spirit of a place. In contemporary usage, genius loci refers to the distinctive atmosphere of a location, or a spirit of place. 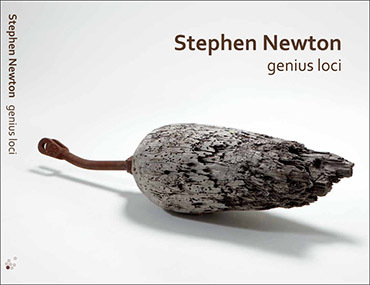 It is this spirit that Stephen Newton’s sculptural practice has drawn on since 1987. His process and evolution as an artist are closely connected to the intrinsic energy and beauty found in natural materials, which he uses to explore relationships between human nature and natural and built environments. This book is a selection of pivotal works from Newton’s practice over the last twenty five years including studio work, indoor sculptures, environmental installations and major commissions. 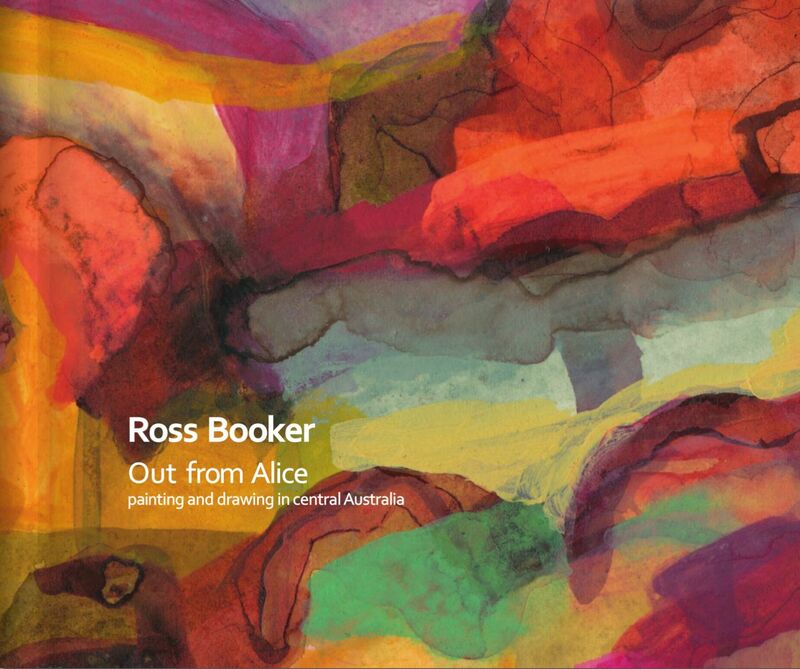 Out of Alice — painting and drawing in central Australia is published by artHIVES. This 140 page hardcover publication contains 60 full colour reproductions of works and many photographs from artists camps in remote central Australia. 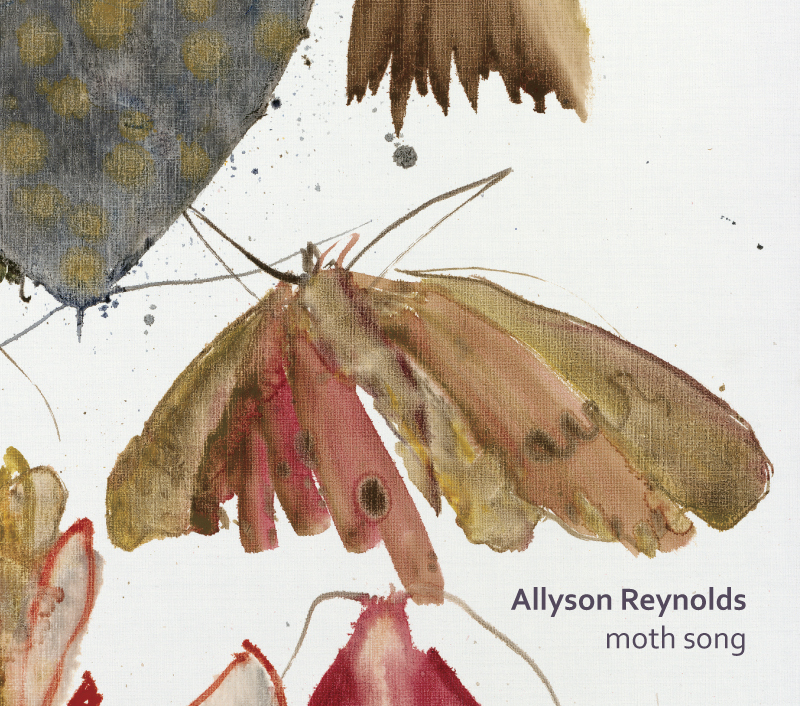 The book includes an essay by curator, Elizabeth Bates. The release of this book coincided with Booker's exhibition at Woolloongabba Art Gallery Upstairs (www.wag.com.au) in November 2013.